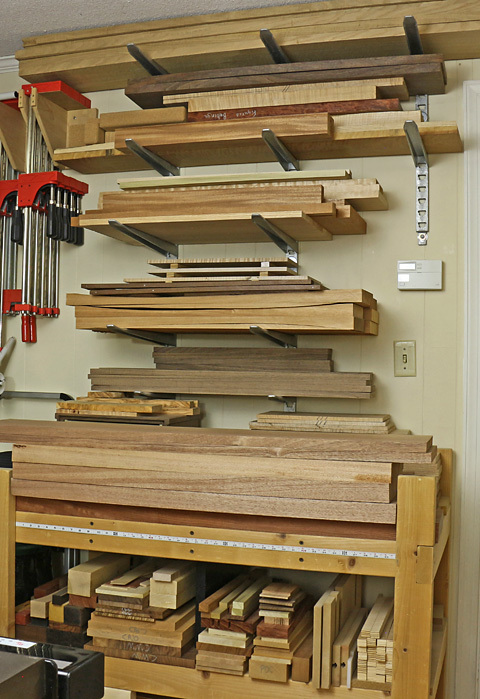 What is the most likely pitfall to cause your next woodworking project to fall short of your hopes? Answer: injudicious choice of wood. OK, sorry, I’ll state it positively: each project has the potential to be greatly elevated by smart choices in choosing and using wood. But let’s look more closely at this matter. On the one hand, there is knowledge of wood in general. This includes things like wood movement, strength properties, and grain. As you design a piece, you choose species of wood, and then, much as an engineer, use that knowledge to work out the details. However, wood is not clay, steel, or plastic. Each board is the product of the incredible diversification of the biological world. For this reason, to be really successful at using wood, you must be intimately familiar with the species of wood that you are using. Go beyond your designer and engineer mentalities to that of a biologist. For any species, there is so much to be cognizant of when choosing the specific boards and deciding how to make the best use of them. Where was the tree grown? How was the log sawn? Were the boards air-dried or kiln-dried; were they steamed? How does this affect the working properties and color? What defects is this species prone to? How will the color change over time? And on and on. Let’s take cherry as an example, but the important point is that every species has its own large set of potentials and quirks. Cherry’s generally wide availability and easygoing workability can lull you into complacency. Of course, cherry darkens with time and exposure to light to produce that legendary brownish, brick red color, but this is accompanied by a varying amount of softening of the original figure. Some people like this, others may be disappointed. Some boards have more distinctly etched figure, sometimes with a greenish tinge, and seem to retain it better. Speaking of figure, I find the quartered surface of most cherry to be somewhat disappointing. 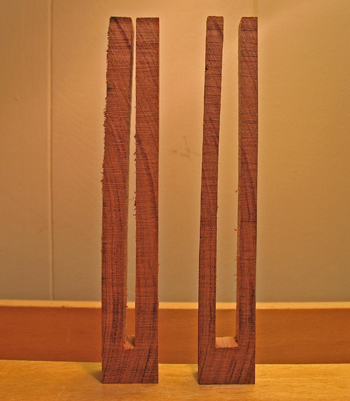 More vexing is cherry’s tendency to produce a blotchy effect with some finishes, especially oil. If a board has the tendency to blotch, it is virtually impossible to fully avoid, but it varies widely among boards, so, again, the key point is to recognize this and choose wisely. 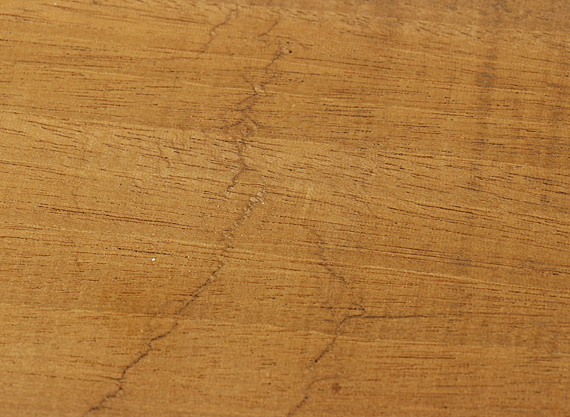 Gum streaks are a defect to the eyes of some woodworkers, others may like a few. 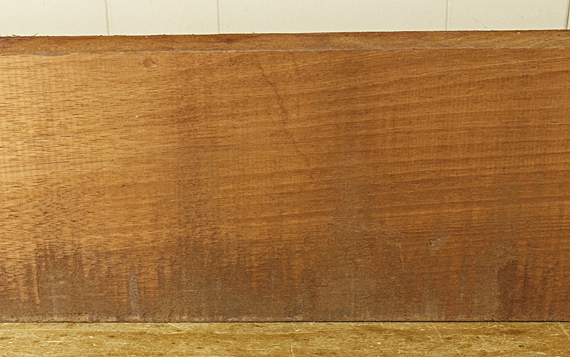 I’ve also encountered some cherry boards that have fairly heavy gum streaks along with an unappealing “dirty” look that is hard to detect in the roughsawn state. 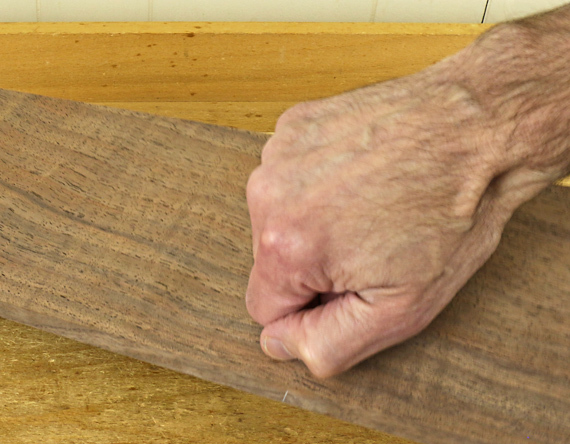 As for the lighter sapwood, some reject it entirely (accepting only “all red”) but some may like the effect, such as with live-edge boards. Cherry from northwestern Pennsylvania is said to be the best available. 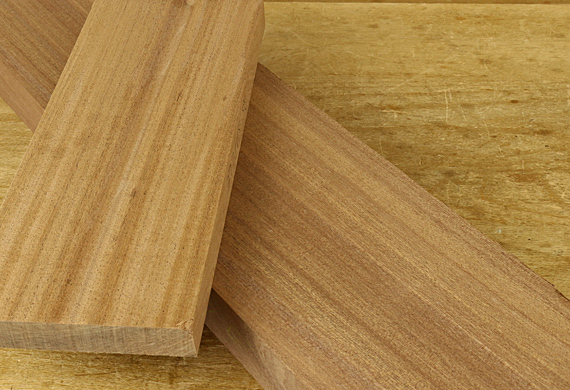 When choosing curly cherry, it is a mistake to suppose that it is similar to curly maple. 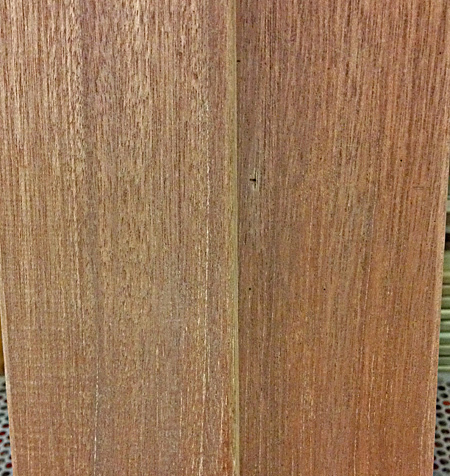 Curly cherry is essentially very blotchy cherry in a nice pattern. Thus, cherry that is sold as “curly” but contains only minimal curl looks poor, and you’ll pay more for it. I’ve also found that curly cherry that is sanded or scraped never looks quite as good as when it is handplaned to the final finish (and that can be tricky pull off), even when a film finish is applied. 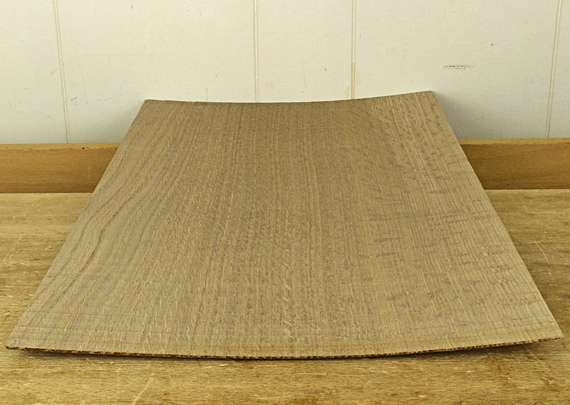 Curly cherry is quite a different matter than curly hard or big-leaf maple. I could go on. It sounds like choosing players for a baseball team – good batting average but can’t hit left-handers . . . I enjoy using a lot of different species of wood, and I’ve paid the price, literally and figuratively, for sometimes falling short in this area. 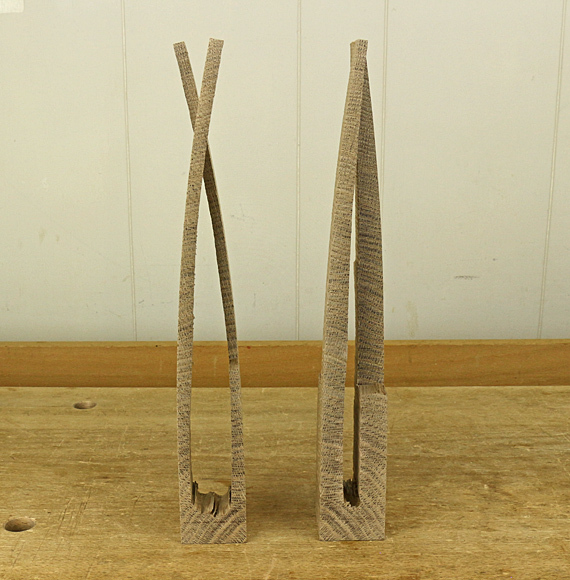 On the other hand, knowing wood really well is a joyful and fulfilling part of the craft, well worth deeply exploring. 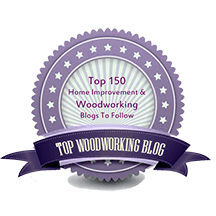 Have you listened to your woodwork lately? We are all cognizant of the visual beauty of wood, its tactile warmth and texture, and the memorable scents produced while working at least some species. But here is a reminder to tune in to the sweet sound of wood. 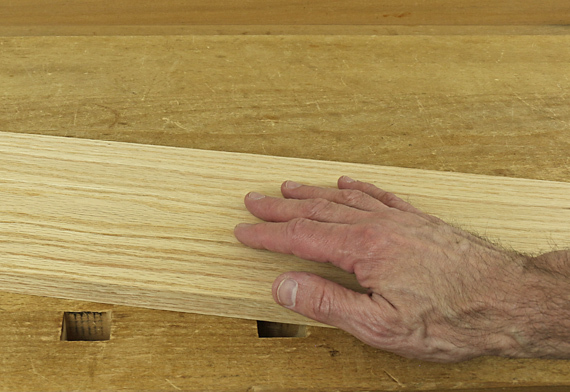 Notice the resonance when closing a lid or drawer made of solid wood. Or the sound of a ceramic bowl placed on a solid wood table. 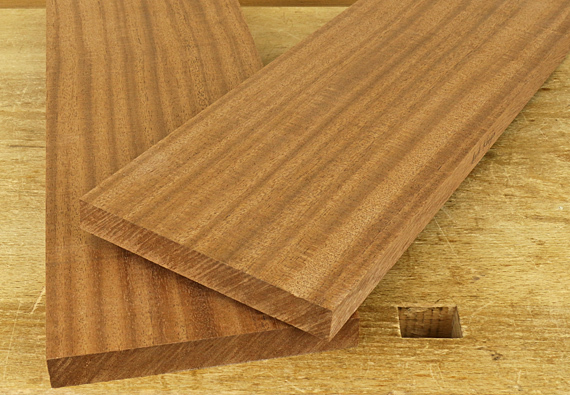 Compare those to the discomforting clamor of melamine-coated particleboard. The sound of real wood just seems like the ease and contentment of home. Our lives are filled with the cacophony of sheet metal, glass, plastic, and concrete. How welcome is the comforting sound of solid wood. 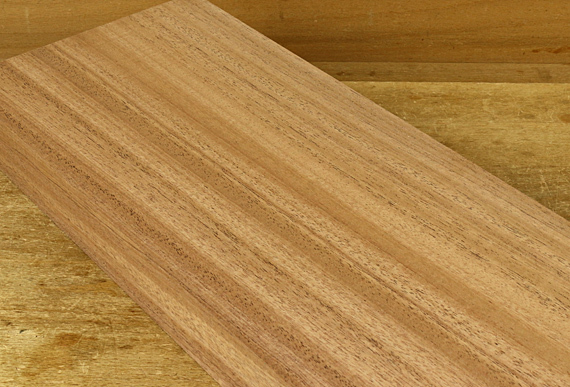 We woodworkers create in a very special material. I recall even early in my youth intuitively sensing that there was something special about wood, and some of that came through its sounds. I remember particularly a sturdy solid wood truck in the kindergarten room and the sounds of loading it with solid wood blocks. That rig had a dignity unmatched by plastic stuff. 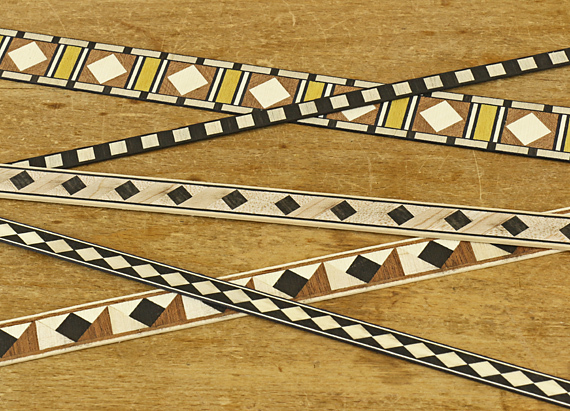 Of course, the sound produced from wood reaches its full potential in musical instruments. Remarkably, even with all the advances in materials science, the best acoustic strings and woodwinds are still made from wood. 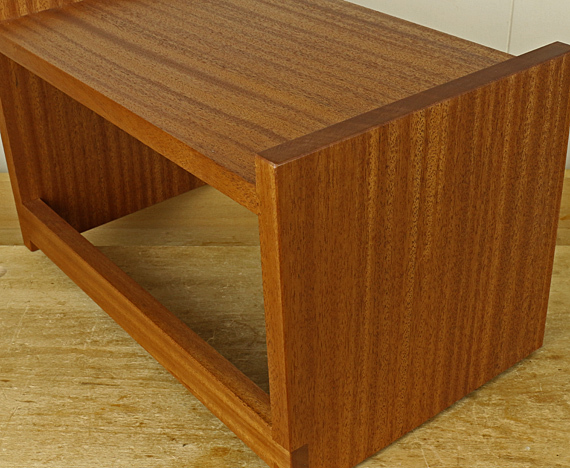 And some of that acoustic magic is present in the solid wood furniture and household objects that we make. 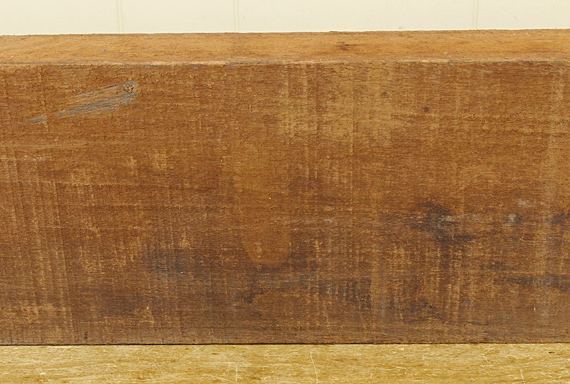 When divvying up rough stock for a project, it is those early crosscuts, often particularly the very first one, that so much determine the successful use of the wood, and in turn, the entire success of the project. We tend to let our guard down at this early stage because the lumber is rough and the cuts are rough, so it seems like little could go wrong. 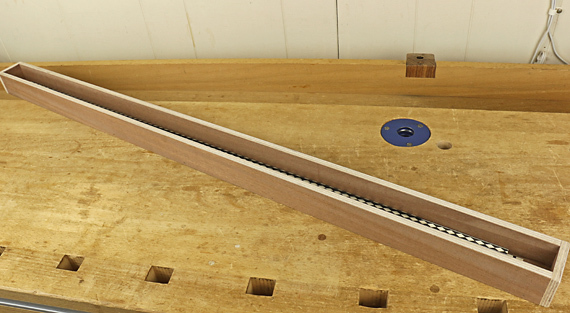 We are not naturally in a precision frame of mind as when approaching joinery work. Moreover, it seems like there is so much wood now, maybe much more than needed. But beware, these early breakdown crosscuts will in large part dictate the figure and color matching of the wood in the finished piece. 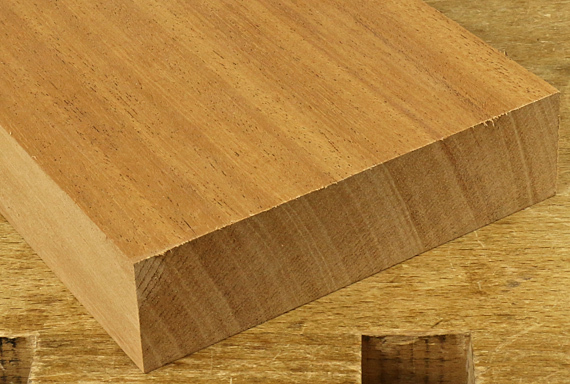 After The Crosscut – the one that felled the tree – and the sawing and drying of the boards, these initial crosscuts in your shop are critical to the efficient use of your expensive wood. 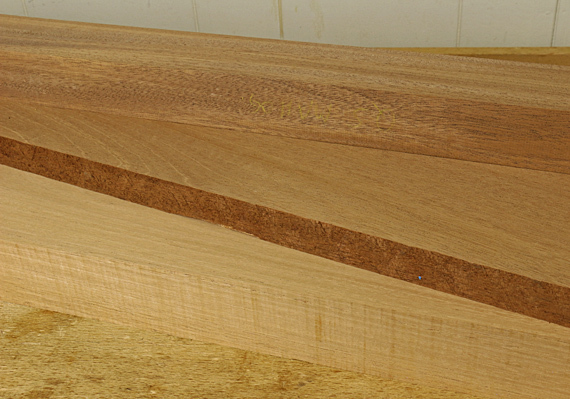 As with most matters in woodworking, winging it is not often rewarding. So think it through with the measured drawings nearby, and tape measure and chalk in hand. Be alert. Look at the wood, study the figure and grain, find the defects. Make thoughtful decisions. 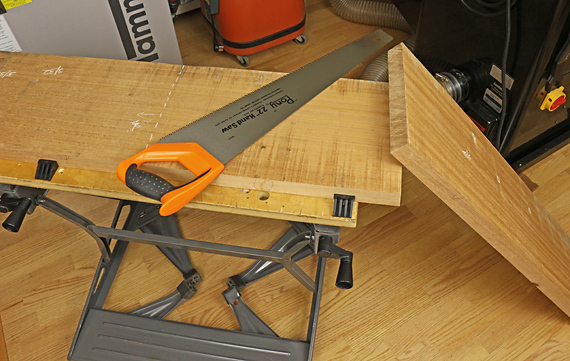 The eternal woodworking quest for a board stretcher remains unfulfilled, so I heed the advice of the master.